For off-road vehicles like ATVs, UTVs, rock crawlers and dune buggies, driving at night or in low light conditions such as dusk or dawn can be downright risky with only the standard, equipped vehicle lights. Daytime is often no better, particularly in crowded areas or winding trails with little visibility or forewarning from oncoming vehicles adding to the danger. As a result, off-road vehicle owners are increasingly adding aftermarket LED lighting for the extra illumination required. Advances in thin-film LED technology are not only producing much brighter lighting, but does so using paper-thin strips that are flexible enough to bend around corners yet are still rugged enough to stand up to harsh, off-road environments. For many enthusiasts, the new technology is not only lighting up the night, but increasing safety during the day as well. For Julian Taylor, one of the hosts of History Channel’s series, It’s How you Get There, LED strip lights were critical for providing additional light for three UTVs they were riding on the Hatfield-McCoy trails in West Virginia. The program focuses on the “journey” to a variety of unique locations using just about every mode of possible transportation. In episode 3 of the series, Taylor and several others ride UTVs on what is considered the largest network of ATV and dirt-bike trails in the eastern United States. “The Hatfield McCoy trails are unique and can be kind of tricky, so you need to be able to see exactly where you are going,” says Taylor, adding that the UTVs were equipped with standard lighting, which was insufficient in his view for the trails even during daylight hours due to safety concerns. “The standard, basic lighting doesn’t really allow for us to see a great deal at night, or for others to spot you whether day or night,” says Taylor. After researching available options in LED strip lights, Taylor says the production crew decided to install XTL strip lights manufactured by Grote Industries. The LED strips include patented thin-film technology and are only 0.5 mils thick (equivalent to a piece of paper) in varying lengths. The strips are able to produce a very high 475+ lumens. The LED strips were installed on the front bullbars, around the roof, across the rear cargo box and in the interior. The effect, “lit up the entire trail so we could really see where we were going,” says Taylor. Taylor adds that much of the UTV riding was during the day, but he and the crew still felt more comfortable leaving the LED lights on for safety reasons. 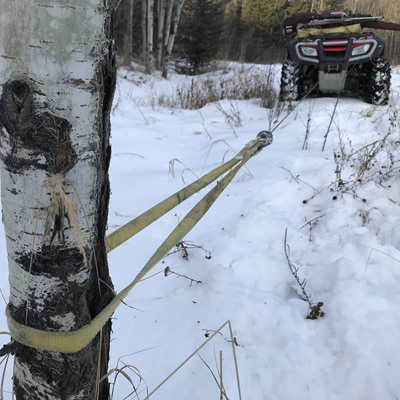 “When you have a trail like Hatfield-McCoy that is twisty and hilly, and there are so many ATVs passing by, we felt safer turning the strip lights on all day long to ensure that we could be seen clearly,” says Taylor. “The brightness is incredible. There is no comparison between anything on the market and the [XTL] LED strips,” Mark Turk, owner of Mad Mark’s Stereo Warehouse in Bradenton, Florida. One aspect that has impressed Turk is the flexibility and ease of installation of the new, thinner LED light strips. 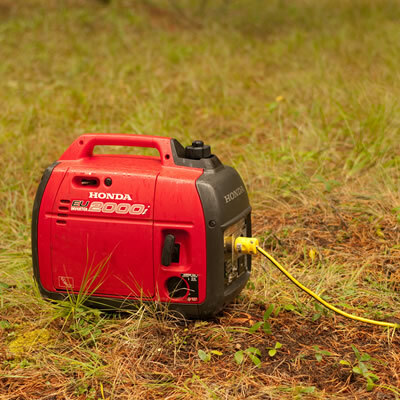 The product is installed with peel-and- stick tape and can be connected to the existing power system or a supplied battery box. He was also impressed by the ultra-thin profile of the LED lights, as well as its durability. 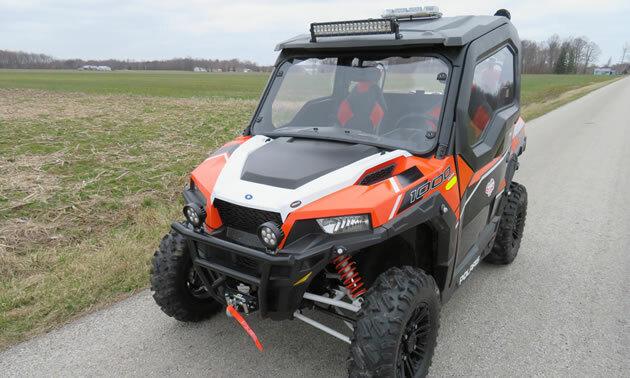 The durability of the LED strip lights is even more critical for RKO Enterprises, a company that has partnered with Polaris Industries since 2009 to produce both standard lines and custom designs of fire and rescue vehicles for use in remote areas. 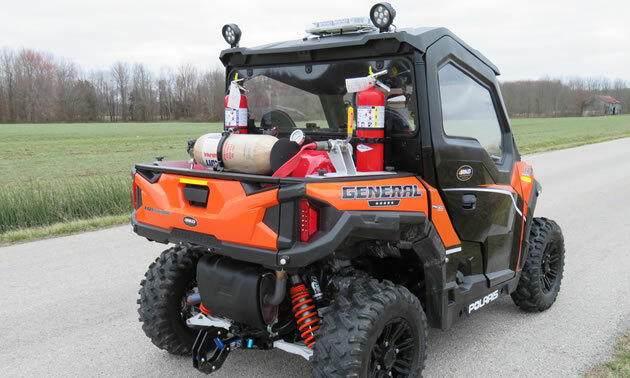 The modifications include outfitting the Ranger with fire and rescue equipment mounted in the bed of the Polaris unit. RKO also uses the new LED light strips on off-road fire and rescue trailers that can be attached to the back of the UTV unit, adding extra fire and rescue capabilities. RKO then sells both the UTVs and trailers directly to departments around the World, which rely on dependable LED lighting. 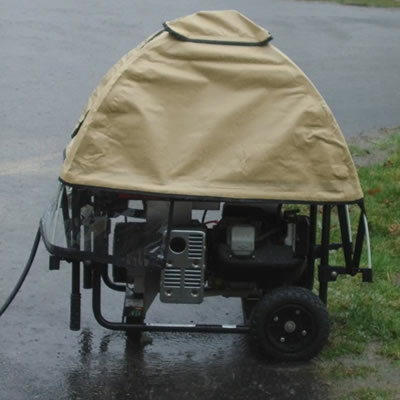 The XTL strip lights have the advantages of being waterproof, rather than just rain-resistant, and being able to withstand pressure washing with hot water. The LED light strips are also resistant to 25 of the most common chemicals associated with vehicles in the event of exposure or spills, including motor oil, diesel fuel, battery acid, gasoline, and brake fluid. While, all Polaris models come equipped with standard headlights, running and brake lights, RKO Enterprises now adds the XTL LED light strips for multiple purposes, including interior lighting. The strips are also used to satisfy ground lighting requirements outlined by the National Fire Protection Agency (NFPA). Ground lighting is required to allow fire/rescue personnel to safely step around the vehicle at night. For more information about XTL UTV Kits, contact Grote at 2600 Lanier Drive, Madison, Indiana 47250; phone: +1 (800) 628-0809; email [email protected]; or online at www.grote.com.